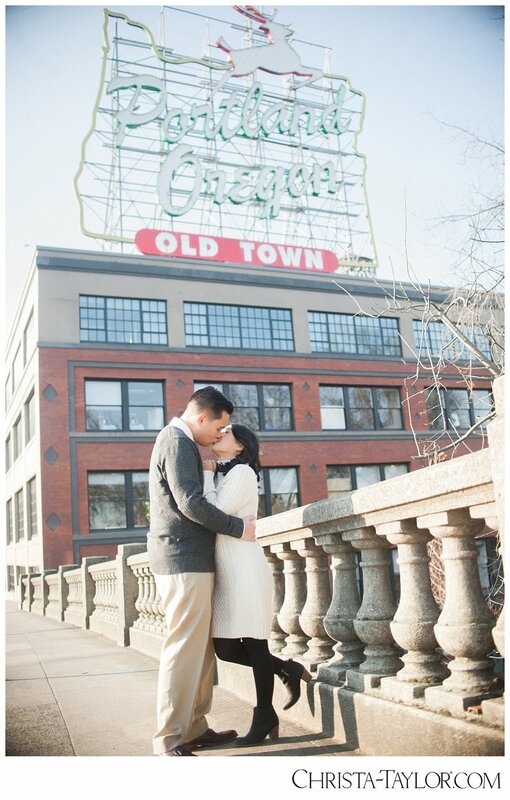 The Portland Waterfront, specifically the Eastbank Esplanade, is a major attraction to photographers and engaged couples alike. No where else in the city can you get that gorgeous Portland skyline silhouetted in quite the same way. The challenge as a Portland engagement photographer is how to shoot at the same location multiple times and still have creative, unique images? I think it's honest to say, every photographer has certain "fall back" ideas that always work well- which isn't a bad thing. But in order to keep it fresh, you have to keep trying something new. Add a new lighting technique or off-camera flash, or shoot film! Which is what I opted to do in this case ;) Not a huge brainwave by any means as I shoot film any chance the weather permits. But this was the first time for some of these locations with a medium format film camera for an engagement shoot, so enjoy! Kristian and Noelle, you guys are an absolute delight to work with. Your care for each other, was so beautiful to witness. Furthermore, you went out of your way to seek to care for me as well, I was truly touched by your thoughtfulness and it exemplified the type of character you both exhibit on a daily basis. It was an honor to capture this season for you both. 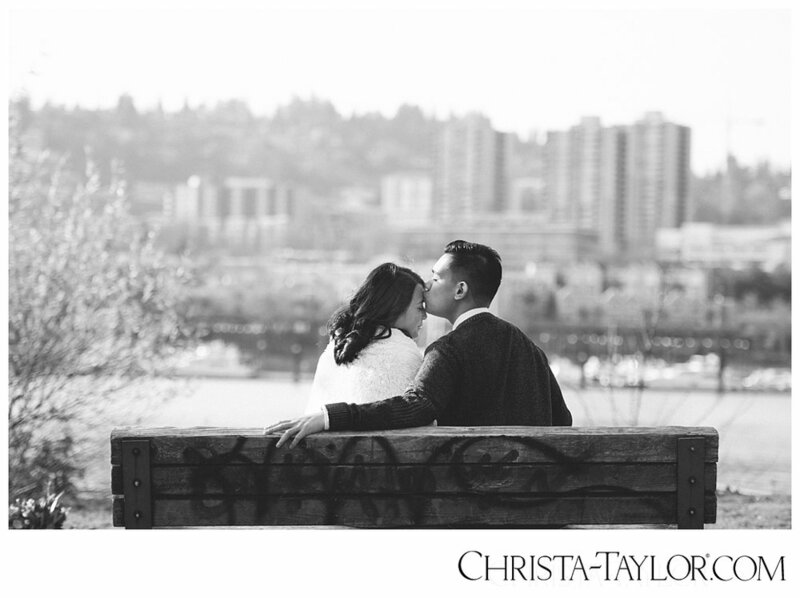 Portland Engagement photographer, Christa Taylor. Portland waterfront engagement photos. Oneonta Gorge did us good! 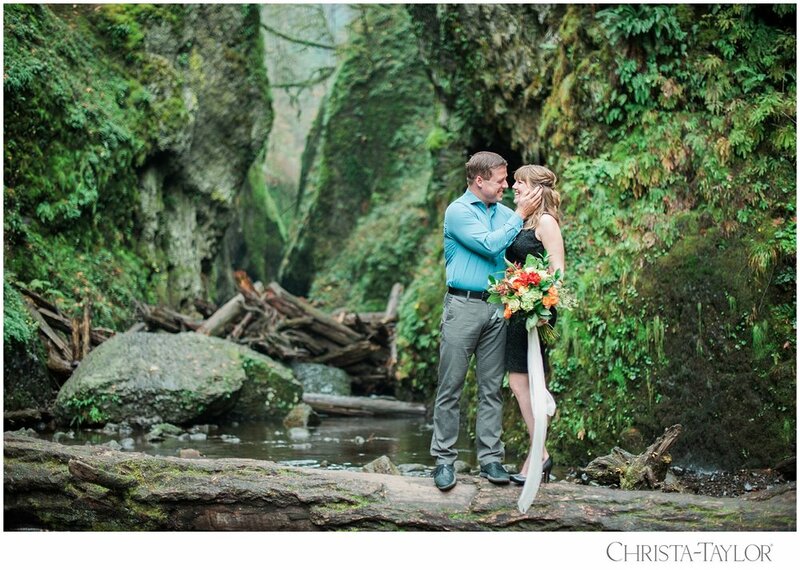 Oneonta Gorge Engagement Photos, by Portland wedding photographer Christa Taylor. 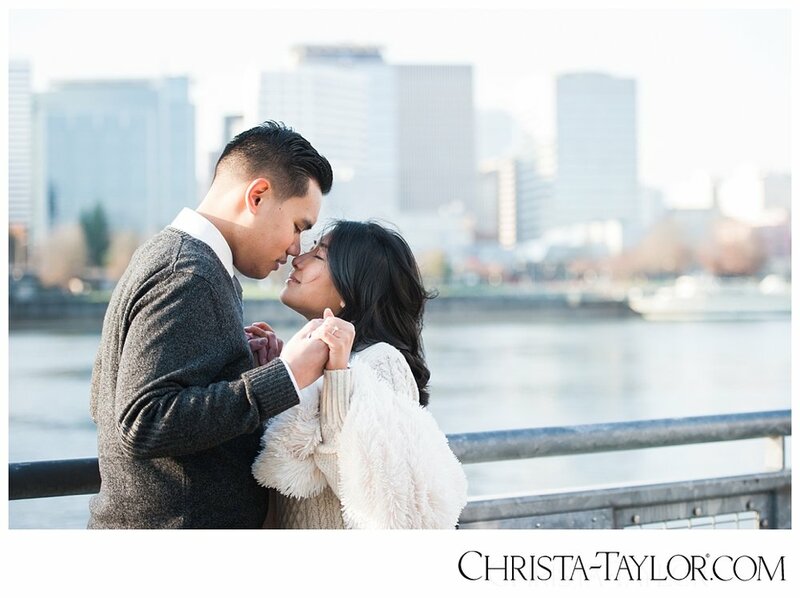 Oneonta Gorge engagement session, outside Portland Or in the Pacific Northwest, by fashion photographer Christa Taylor. 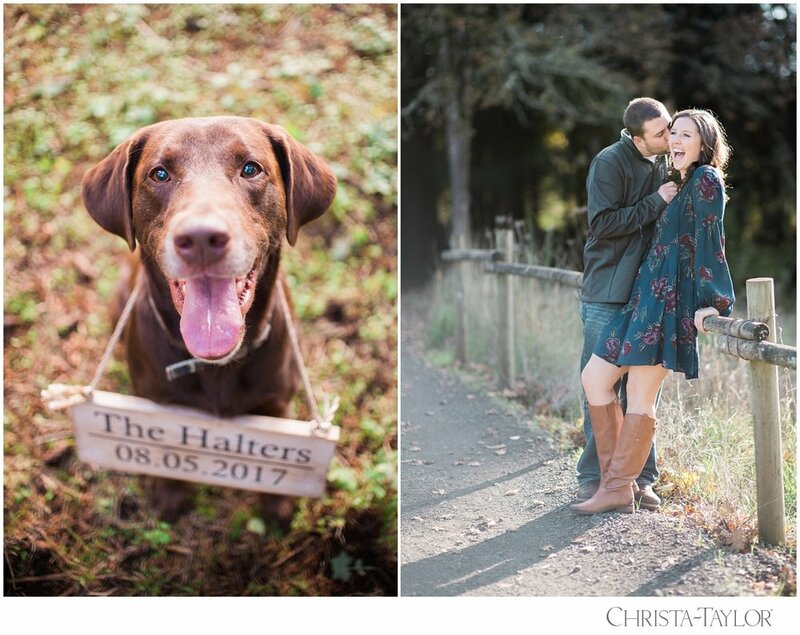 We were laughing together during this Oregon Gardens Engagement session that Sara + Jered were harnessing their inner "Ralph Lauren" model. Because, gee, they really did nail it. It was such a pleasure to spend the afternoon with these two. They bring out the best in each other. Jered is all man, happy to accommodate his bride but definitely not into any froo froo. (I think my husband and Jered are two birds of a feather). Sara is feminine, graceful and so winsomely beautiful. 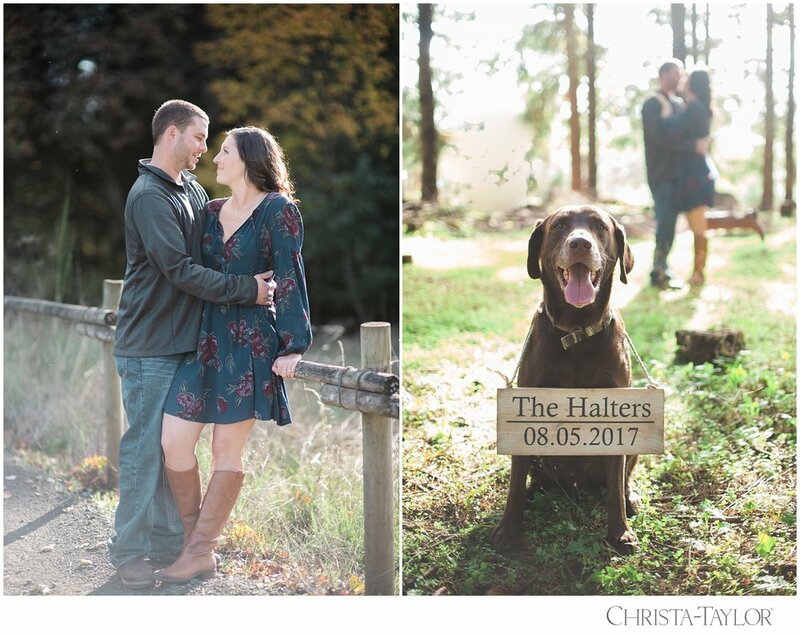 Oregon Gardens Resort is an ideal engagement session location, the variety of foliage, architecture, landscaping and design is a beautiful backdrop. This Oregon Gardens Engagement was no exception. Hair and makeup by the talented Jennifer, of Face Body Beauty, made Sara feel stunning from the start. 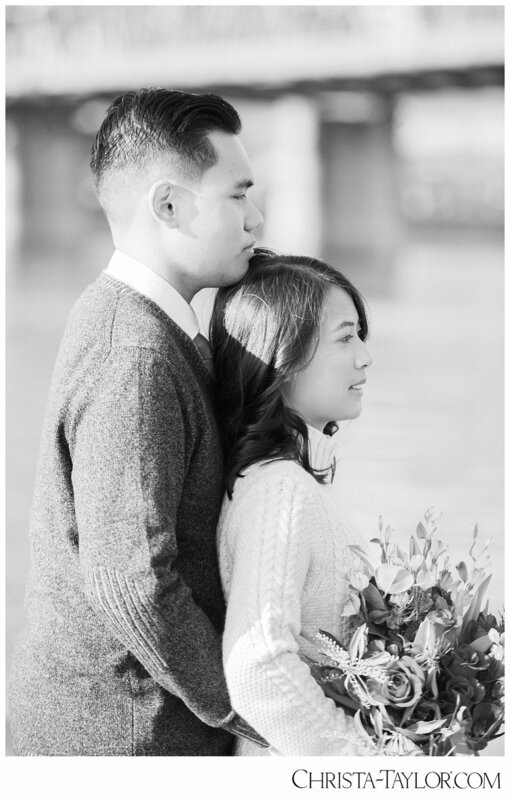 Of course there are always a bit of nerves at the beginning of any engagement session, but that's why I'm here! No one wants to feel like a fish out of water, so my job is to give enough direction that the whole experience feels natural and the couple walks away with confidence. Here are a smattering of our favorites.